Born in Lima in 1929, Julio Ramón Ribeyro looks as gaunt, dark, and handsome as he did in photos from forty years ago, during his first years in Europe, only now he appears more gaunt still. This contrasts markedly with the large elegant apartment---the shelves lined with art books, the walls with paintings and prints---that he shares with his family on the semiprivate Avenue Van Dyck that leads into the neoclassical Parc Monceau, in Paris's eighth arrondissement. Ribeyro is known most of all as a short story writer, though he has also published several novels and plays, and a book of marginal writings (Prosas apátridas, 1975). Since 1992, his diaries began to be appear (La Tentación del Fracaso, I: 1950-1960; II: 1960-1974), at a time when two other major writers from Peru also published their memoirs---Mario Vargas Llosa (A Fish in the Water) and Alfredo Bryce Echenique (Antimemorias). Two selections of his stories have been translated into English, including Marginal Voices (1993). 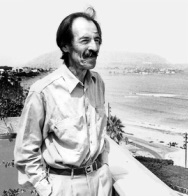 At the time of this interview, which took place in his home around noon on June 15, 1994, Ribeyro's Cuentos completos, nearly 800 pages, had just come out with the large Spanish publisher Alfaguara; it was the third in a series of collected stories editions, after Julio Cortázar and Juan Carlos Onetti, devoted to Latin American writers. A few days earlier, he had returned from Madrid, where the annual Semana del Autor---a week of round-table discussions, interviews, and colloquia---was dedicated to him that year. Generally a private person, he found all the attention difficult to bear---"a state of stress and anguish and terrible fatigue"---and seemed genuinely glad it was over. Several months later, he was honored with the prestigious international literary award, the Juan Rulfo Prize, in Mexico. Ribeyro died of lung cancer in Lima, in December 1994. You first traveled to Europe as a young man. Could you sketch your itinerary and how you came to settle in Paris? I left for Europe in 1952, because I had a grant to study journalism in Madrid. When the grant was over, I had to go back to Peru because I didn't have the means to stay longer. But meanwhile, I was lucky to get another grant, and this one was for Paris. So, in 1953 I traveled from Madrid to Paris with the purpose of doing a thesis at the Sorbonne on French literature, on Flaubert in particular who interested me a lot at the time. I wanted to do a thesis on Flaubert's political ideas---a theme which hadn't been dealt with sufficiently in all the books about him. So, I was at the Sorbonne and I started to do research: I realized it was too big a job, and that it would take years of hard work. I completely gave up the idea of the thesis and of studying at the university. That grant lasted a year, and I would have returned to Peru but I kept staying on however I could, doing sporadic jobs---working as a hotel doorman, and later a job called ramassage des journaux, collecting newspapers and magazines from houses which we sold by the kilo---in short, a series of jobs that allowed me to stay a couple years more. Then, I went to Belgium for a year, and after, a year in Germany. And I returned to Peru in '58. But I was in Peru for a couple of years and I didn't adapt to it very well. The job I had in a university ended at a certain point, so I decided to go back to Paris, in 1960. And from then until now I've lived in Paris, returning to Peru on vacation almost every year, and in the last four years returning each time longer. Now, I'm six months in Lima and more or less six months in Paris. That might be the ideal way. Ideal, yes. During those thirty some-odd years that I was here, of course, I was working as well. For ten years, I worked as a journalist in the Agence France Presse. I was a translator there, and later an editor. And in 1970, I left that job to enter the diplomatic service in the Peruvian delegation to Unesco. There I worked for twenty years, first as cultural counselor, then as minister in counsel, until I became ambassador. For four years I was the ambassador to Unesco. In 1990, there was a change of government in Peru, and I offered my resignation, as every ambassador does when there is a change of government, the post is left up to the government. Since then, I've stayed here without doing anything. For four years I've been doing nothing. I have neither a job, nor a salary, nor an occupation, nothing. That is more or less the chronological part of my stay in Paris. Your story "Barbara" took place in Warsaw, at the time of the international youth congresses in the '50s. Did you live something similar? Yes. That was around '54-55, when there was a great effervescence among the young Latin Americans in Paris, concerning the socialist world. We were very interested to know the world beyond the Iron Curtain. There was a whole group of us Latin Americans, like ten Peruvians, a bunch of Argentines, Chileans, Mexicans, Colombians, from all over Latin America. These festivals were a lot of fun, very lively, at a time when we believed in the solidarity of youth, that it was going to forge a better world, a peaceful and harmonious world. Which was all a myth, of course. Did you make any other such trips? I was only in Warsaw. Later, I returned to socialist countries on other occasions, but for little time. For example, I've been in East Berlin. Since I was living in West Berlin, I often went over to East Berlin. Because at the time there was no wall, it was easy to pass through, for whatever reason. Because in East Berlin it was four times cheaper to live, first of all. And then, there was also good theater. Bertol Brecht's theater was at its height. So, it was interesting to go see his plays. When you arrived in Paris, did you know anyone? Did you seek out or find a Latin American community? When I arrived in Paris, I didn't speak French. Therefore, my first contact was with the colony of Peruvians and then of Latin Americans that were living in Paris. I found a bit of help from them, of support and company. But really my contact with this colony was not very intense. I've always tended to be a bit alone. Apart from two or three Peruvian friends whom I saw more or less often, I had very little contact with Latin Americans. Some important writers from Latin America were living here, but I didn't know them. I only met them occasionally. Among the Peruvian writers, I was good friends with Mario Vargas Llosa, he too was living in Paris then, especially after 1960. Since 1992 two volumes of your diaries, La Tentación del Fracaso, have been published. Is that something you have always written on the side? And your book Prosas apátridas was also written in the margins. Yes, Prosas apátridas is a book that is partly extracted from the diaries. They are the fragments that seemed significant to me, or that could be read on their own, without needing to connect them to the life. But the diary is a genre that has always attracted me a lot, as a way of keeping in shape, when one isn't writing fiction. As a way of correcting oneself, examining oneself, coming up with good intentions which naturally are not carried out. And finally, to note down ideas as well, or experiences, or facts that can be useful later. And were you writing in it every day? There have been periods in which I noted things down every day, other periods when weeks could pass without noting anything. It rather depended on how much interest I found in my own life. And too, the more fiction I was writing, the less I wrote in my diary. Like a sort of balance. When I was working a lot on purely literary matters, I didn't write in my diary. And when I was writing very little, it was the contrary. There were periods of total sterility, so I wrote more in my diary. With respect to Paris, it seems odd that there have always been many Peruvian writers here, at least since the García Calderón brothers early in the century. With Argentines this relationship seems almost natural, by way of their more or less European culture. But why so many Peruvians? Many critics are surprised, including Peruvian critics, that since the '50s more or less, a little before, many Peruvians have come to live in Paris. Not only writers, but painters, musicians, theater people. But that is a very old tradition. Since the nineteenth century, when at least fifteen Peruvian writers were living in Paris---in the nineteenth century. Novelists, poets, essayists. And that increases with the twentieth century. You've mentioned the García Calderón brothers---Ventura, and Francisco, and José García Calderón, who lived almost their whole lives in Paris. Later, the most important, was César Vallejo; and César Moro, the great surrealist poet; Juan Ríos, the poet and playwright. There were many writers coming and staying, living here, going back, others followed. Do you remember, when you were a young man, if you felt something of this tradition before coming here? Yes, yes, much earlier, because I have always been very fond of French literature. I think it's the literature I know best, better than Peruvian literature. Since I was an adolescent and even before, I read many books by French authors. So, I was somewhat familiar with the literature, the culture, and the city. Through the novels of Balzac, the novels of Alexandre Dumas, of Proust, and so on. I already had a vision of Paris, I imagined a Paris that I corroborated later when I came. And I compared the imagined Paris that I had formed through those readings. But apart from that, my father was also very fond of French literature and culture, and one of his dreams was always---he was never able to realize that dream---to go to Paris, to know Paris. He knew Paris almost by heart, because he had a big map of Paris at home, I remember, and he knew all the streets, the little squares, the monuments, the churches. And when he read a book, a novel especially, right away he would identify the streets and the plazas through which the characters passed. So, coming to Paris was also a form of fulfilling a wish that my father could not achieve. I traveled a little bit in his name, as his representative. Was he still alive during the years you were here? No, no, he had died already. Before the more stable work at Unesco, did you think that some day you might return forever to Peru? At first, no. At first, I thought I was going to stay here in Paris, because I had more or less gotten used to the way of life, to the rhythm of life. The fact of living in a city with a terrific cultural scene, that offered possibilities to learn many things, to see many things---be it theater, film, concerts, art exhibits---all that was very attractive. That lasted a number of years, but at a certain moment I grew tired of it. I got tired of being a consumer of culture, of being up to date with all that was going on---the latest books, the latest exhibits, etcetera. There was a moment when I felt a bit saturated with European and Parisian culture. So then, yes, I began to think of returning to Peru. A bit later, in the '70s. I began to imagine the return to Peru because I already felt a bit distant from Paris---distant I had always felt, but my experiences were fresh those first years in Paris. Later, my contacts with Peru started changing, becoming transformed at a dizzying speed, and what I was able to write about Peru no longer corresponded to what Peru was at that moment. So I decided at a certain moment to return, and thus it was in 1990 when I left the embassy that I returned to Lima, I bought an apartment, and since then I've been six months, sometimes a bit more, in Lima, and the rest here in Paris where my family lives as well. Also, I had lost contact a bit with the language, the speech. I realized during my vacations to Lima that people were speaking differently from the way I had heard it spoken in the '50s. Certain expressions had arisen, and perhaps the language spoken by the residents of Lima had deteriorated a little due to the enormous migration from the country. It had become poorer, on the one hand, from the viewpoint that grammatical correctness had grown poorer, but it had also grown richer with new formulas, new sayings. And if one was trying to do a more or less realist literature, as I have always done, then it was necessary to live, and feel, and know that speech, of the limeño (resident of Lima) above all. Do you intend to maintain this rhythm now, with six months in each place? Yes, but my final intention is to move to Peru for good. Maybe next year I'll stay in Peru. Because neither can I keep traveling---it ends up very expensive. Nearly all of your work, apart from certain stories, takes place in Peru. Did you feel any obligation to devote yourself in this way? Not at all, I felt no obligation. Perhaps at the beginning, yes, in the first books, I felt a certain responsibility to reflect in my writing the reality of the country at that moment. Above all, the reality of Lima. Because I had always thought that Lima was a big city now, but that it lacked a novel. I published an essay called "Lima, City Without a Novel" in the '50s. It was necessary to fill that gap, it seemed. So, how do I go about it? First, I wrote some short stories, and later a couple of novels, with the object of giving to Lima that dimension which literature gives to a city. Cities that have no great novels seem a bit less important, great as the cities are that have given birth to novels. If one thinks only of Dublin, for example, seen by Joyce, and Prague by way of Kafka, Viena by way of Musil. And, of course, Paris through Balzac and so many great writers, Proust, who have written about Paris. So, that was a sort of challenge which was purely literary. But apart from that, no. I have often thought as well of writing about my life in Europe. But I think that if I have written little about Europe, aside from some fifteen stories that I wrote in a book, Los cautivos, which were all stories of Europe, I haven't written . . . It's something I can't explain. For example, of the ten years I worked in Agence France Presse, I have only one story that takes place in the journalistic milieu. And of the twenty years I worked at Unesco, there's not a single story, a single reference to my work as a diplomat and to my responsibilities as ambassador, I haven't written a thing. It doesn't say a thing to me, all that. Perhaps because they were jobs I did without further interest, simply as a way of being able to survive in Paris. I haven't gotten very involved with this type of work. And perhaps too because I've realized that I'm more attracted to things in the distant past than those happening now. That's why many of my stories are of my childhood, for example, written in Paris but about periods from my childhood, my adolescence. It may be that at some point in the future I'll start writing stories about the time at France Presse or about diplomatic life, but for now I think it hasn't settled enough in my memory, in my past, so that it decants a little and what is essential from that period can show itself. Weren't you tempted to write about the Latin Americans in Paris? Yes, of course. Who hasn't been tempted by that? It used to be there wasn't much in the way of novels about Latin Americans in Paris---and this was a big colony, a real fauna, with thousands of problems and extravagant colorful characters, in dramatic or comic situations. There was a time when I began a novel about some characters, but it didn't get past the first pages. In the meantime, a novel came out by Calveyra Calderón, a Colombian writer, about Latin Americans in Paris. After, there was Cortázar. Later, Plinio Apuleyo Mendoza came out with a novel as well, about Latin Americans in Paris, which dealt precisely with the period I was first here, in the '50s. Several others published novels after that---(Alfredo) Bryce Echenique, Manuel Scorza. So, I let it go, it didn't really interest me. Given that you write about things distant in time and in your life, do you think that the distance, the fact of being here, helped you to write about Lima? Yes, to a certain degree. Because here I was more free, more independent, in the sense that in Lima I had many people close to me, many friends, many obligations, and the possibility of finding seclusion was a little more difficult, more remote. While in Paris I could stop seeing everyone for weeks. Sometimes I would live in hotel rooms or in small studios, very isolated, so I had more time available and less disturbances. Moreover, the fact of being far away allowed me to see things with a bit more clarity. Because I wasn't hampered by a lot of events, a lot of acts. Like all things seem from a distance, you see the lines of strength, the essential forms, and not the small detail, which is what would have happened to me had I been writing in Lima. Did you ever do any writing in which you had to do research? No, it's not my style. But with theater, yes, because I've only written historical theater. One play that's set in the 18th century in Lima, another in the 19th century in the north of Peru. So there I did need to find documentation, but not very much, only the essential things to really situate the characters in their time. It's not that I disdain that type of literary work, based on a thorough documentation, but it's not my way of working. I never liked to write in libraries; I've always written at home, only at home. If we could speak a little about exile. How have you experienced exile, how have you felt it? In a nostalgic way, for example, or in a sense of being uprooted? The truth is, I can't be considered an exiled writer. Not even a voluntary exile. It has simply been a series of circumstances, one thing linked to the next, of chance phenomena, that have kept allowing me to be in Paris for so long. Because after those ten years at Agence France Presse, if I hadn't gotten that diplomatic post, perhaps I might have returned. But then I got the diplomatic post, in which I kept rising, so I kept staying. But I never had the sense of being an exile, not at all. I have known many exiles, real political exiles and real voluntary exiles: they had a series of problems, of uprootedness, of adapting to the surroundings, but some integrated easily and adopted a new culture, a new language, as in the case of (Hector) Bianciotti, for example. But I have also been very resistant, very impervious, to integrating into the society. I adopt very few habits of the places I've lived. Not even in the way I speak. I lived for two years in Spain, but the Spanish accent has never stuck to me, at all. Since then, I've lived more than thirty years in France, but I don't feel even a little French. And I hate when someone learns that I've lived for thirty years in Paris and they say to me, "Ah, you must be a Parisian by now." I say, No, no, no! Above all, I am not a Parisian! I am a Peruvian who has been living in Paris for thirty years like that, but I have absolutely nothing of the Parisian. In the sense that Parisian connotes a series of characteristics that I don't possess. Parisianness is a facet of the spirit that isn't mine. How have you managed to avoid that? Perhaps through some resistance or desire to preserve my identity---identity as a Latin American coming from a developing country, from a peripheral culture. I wanted to preserve that attitude of being a man from the border, and not to be integrated into a different cultural milieu. I've always liked being a bit in the margin, a bit like a sniper, if you like. That has always been my attitude, towards literature itself, towards culture. Many of the characters in your stories are marginal figures. Yes, indeed. That's more or less been one of the approaches used to make an overall assessment of my work. They speak about the marginality of my characters, etcetera. It's true, there is something in that. Although it hasn't been a thing I've sought out. But since the work is a reflection of the author, in a certain way, then my characters are marginal because I feel a bit marginal. I have never liked being in the front ranks; I liked being withdrawn somewhat. Could you speak about your relationship with France and the reception you have had among the French? With respect to your work but also to your experience living here. The truth is, I haven't had much contact with French writers, practically none. I've met one or another writer or poet just in passing really. But I haven't kept up friendships with them because, I don't know, it seemd to me there was no harmony. And then with the French in general, with Parisians, the same thing. I don't have any French friends. I'm one of the rare Latin Americans here who has no French friends. My friends in France have always been Latin Americans, Spaniards, even Germans, I don't know why, but not French. I don't know, there's a certain incompatibility, although I appreciate and I really know and have a great interest in French culture---not just literature, but painting, music, and so on. But I cannot say that I've had close relationships with the French. In spite of the fact that some things in France I like very much. I like the Bordeaux wines, the food, concrete things. As for the reception of my work, I was lucky to be published by Gallimard very early. In 1960 when I arrived, I had published my first book of stories in Lima. So I presented this book to Gallimard, in '62. To my surprise, Gallimard accepted my book for publication. Which is very unusual, since it's a matter of short stories. And that was thanks, above all, to Roger Caillois who liked the stories and decided to publish them. Some years later, my novel Crónica de San Gabriel was published, and after that, another collection of stories. Another book of stories is going to be coming out now. Gallimard itself made the selections; they don't really correspond to any collection published before by me. Have you thought out each book of stories according to some criterion or theme? Well, in the Cuentos completos published now by Alfaguara there are eight books of stories. Some are books which were thought out in function of certain themes, so that it had a certain unity. For example, in the first book, Los gallinazos sin plumas (1955), they're only about Lima, about middle class characters. Los cautivos (1972) is all stories that take place in Europe. It also has a certain unity through its space, its location, and because they're all written in first person---I am the protagonist and narrator at the same time. Another book, Las botellas y los hombres (1964), is all stories about drunks. But other books have been varied, stories that had already come out in journals, and later I put them together to make a book. In the case of the books that followed a theme, did you decide that at the start? No, no. They were stories I had written, they were unattached, and later I realized that there was a certain affinity among them. So in some cases, yes, I completed the book by writing three or four more stories along the same theme. As for the reception in France, I can say in all sincerity that it has not been a very warm reception, to say the least. For several reasons. One is that I am a rather atypical writer for Europeans. That is, my literary material doesn't correspond to the idea Europeans have about Latin America. Because what Europeans look for in Latin America is a bit of exoticism, magical realism, the marvelous real as it's called, important social events like revolutions, subversions, and an exuberant nature. So, the deeds and the characters are quite colorful. And my writing is atypical in the sense that almost all of them are urban stories, of the middle class, gray characters, antiheroes, everyone moves about in a sort of grayness and mediocrity. So, that world seems to have no interest here. I think that now a slight change is starting to come about in that regard, in the perception of Latin American society and Latin American literature. There's been a glut of that baroque and exuberant vision, and people are becoming interested in another version of that world. You can find it a little in the stories of (Juan Carlos) Onetti, for example, who is something else, and in other younger authors who have risen up somewhat against that vision Europeans have about Latin American literature. They want to show other facets as well. Have you ever felt any discrimination here in France? In all frankness, I would say no. In spite of not integrating with the society, I have always mixed in. I have tried to go unnoticed as a foreigner, and with my features I could pass for a Spaniard or whatever. I don't have typically Andean features or even Latin American---because my origins are Italian, Basque, Galician, even Jewish. So, I have a series of mixtures that allow me to pass almost undistinguished.